What better way to introduce MWD’s new theme, ‘Branching Across the World: Trees in Multicultural Children’s Literature’ than to celebrate books about Wangari Maathai, whose life was made up of a series of firsts, from being the first woman in East Africa to gain a PhD to the first woman in the whole of Africa to be awarded the Nobel Peace Prize. Wangari, who died in 2011, remains an inspirational world figure. Her determination to replant trees in her native Kenya, and through them to revitalise communities; and to fight without violence for democracy and women’s rights and against corruption earned her recognition around the world, including the Nobel Peace Prize in 2004 and her appointment as a UN Messenger of Peace in 2009. The Green Belt Movement she launched in 1977 is still going strong, still planting trees. Its influence is global, encouraging people everywhere to plant trees and to look after our planet, and Wangari’s story will continue to inspire people of all ages. 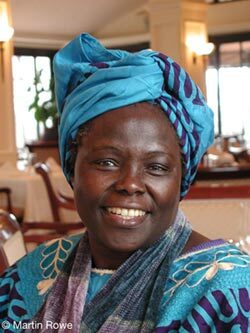 Wangari Maathai wrote four books and her autobiography Unbowed: A Memoir (2006) is an eye-opening and inspirational read for young adults, offering insight into her vision and values, as well as the challenges she faced and overcame throughout her life. Wangari never wrote a children’s book herself, although she is closely associated with one particular story: more about that shortly. 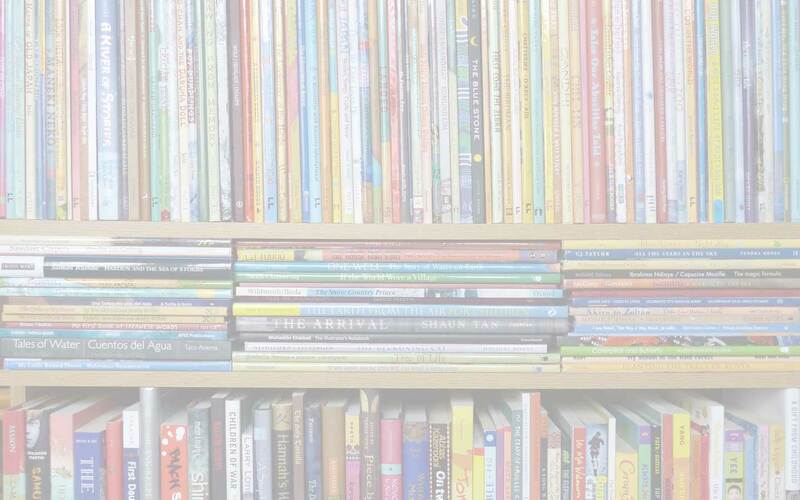 In the meantime, let’s just take a look at children’s books that focus on her, because there are plenty! 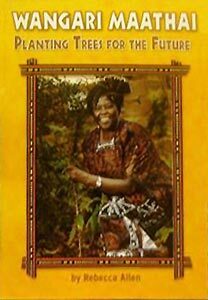 Houghton Mifflin included a book about Wangari in one of their independent readers in their science series: Wangari Maathai: Planting Trees for the Future by Rebecca Allen (Houghton Mifflin School, 2006). Unfortunately, I think it’s out of print now, but it would be worth updating and reissuing. 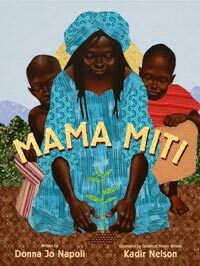 Wangari’s own Kikuyu language, heralded in the book’s title (Wangari’s nickname ‘Mama Miti’ means ‘Mother of Trees’) is used for the names of all the trees that she told everyone to plant – as well as the repeated expression Thayu nyumba, ‘Peace, my people’ (and there is a glossary giving a description of all the trees too). And Kadir Nelson’s combination of Kenyan printed fabric collage and accomplished and sensitive oil painting may have been a challenge, as he suggests in his Illustrator’s Note, but it makes for stunning artwork. The descriptions of the landscape emphasise the impact of both the deforestation and Wangari’s vision both physical and metaphorical, with dramatic contrasts in the landscapes depicted: when Wangari was a child, when she returned to Kenya after studying in the US, and how her vision gradually spread through different areas of society and is still evident in her legacy today. The expansive, luminescent watercolour landscapes are busy with people and trees, just begging to be pored over. 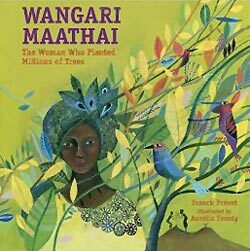 Narrated in the present tense, readers share Wangari’s pain and determination and are swept up in the ripples of her actions that led to the planting of millions of trees. The story-telling is kept simple but gets across how this would have been impossible alone, but all started from Wangari’s single-minded commitment to bring the trees back to Kenya. Jeanette Winter’s signature close-up, folk-style illustrations, often set into a white background, emphasise this impact, especially where she gradually zooms out as more and more women become involved, stooping down to plant trees. Echoing Kenyan fabric batik, the illustrations dazzle. Lush greens contrast with the desiccated landscape Wangari finds on her return from America. Emphasis is given to Wangari’s childhood and her thirst to learn: what her mother teaches her about the trees; her parents’ enlightened decision to let her, a girl, go to school; and from there, her path to becoming one of the first women scientists in Kenya. 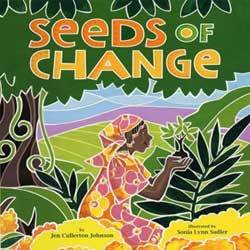 These children’s books touch on the fact that Wangari suffered violence and imprisonment. They also emphasise, whether explicitly or not, that she and the members of the Green Belt Movement never used violent protest to achieve their goals. 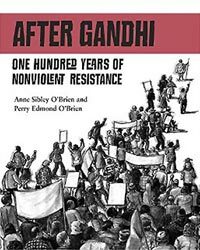 Wangari is one of the inspirational figures featured in Anne Sibley O’Brien and Perry Edmund O’Brien’s excellent book for older children, After Ghandi: One Hundred Years of Nonviolent Resistance (Charlesbridge, 2009). The book introduces each person featured through a certain event, and in Wangari’s case it is a gathering of women at ‘Freedom Corner’ in Uhuru Park in Nairobi in 1992. The women were on hunger-strike to demand the release from prison of their sons, who had been arrested for opposing the government. Four days into the protest, police broke it up with tear gas and violence, and Wangari was among the women who were knocked unconscious. The government didn’t like what Wangari was doing to encourage women to plant trees but for Wangari the environmental issues and the need for peace were intertwined. She planted trees of peace at Freedom Corner to demand the release of prisoners of conscience and the work of the Green Belt Movement continued. This is a slightly simplified version of The Flight of the Hummingbird published in 2008, in which the story and illustrations are the same, as is the description of the amazing little hummingbird, but Wangari’s words are included as a Foreword, rather than a ‘Message’, and there is also an Afterword by the Dalai Lama. At least, I think that is how it is laid out, but I have to say I haven’t seen the older version. 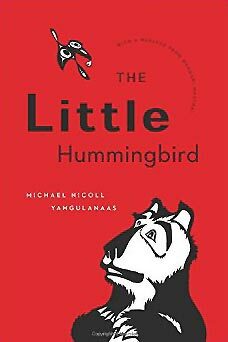 In the story, a retelling of a South American legend, all the animals flee when their forest catches fire but the hummingbird flies back and forth to drop a single droplet of water at a time into the conflagration. The other animals seem powerless as they watch her, and finally bear asks her what she is doing. She responds that she is doing what she can. Michael Nicoll Yahgulanaas’s retelling appears at first to transplant the story to his native Canada, and indeed his gorgeous illustrations in traditional black, white and red draw on his Haida First Nation background – however, the context is actually more generally allegorical with the forest creatures including elephant and tiger as well as beaver, bear and wolf. The story ends without us knowing whether the humming bird inspires the other animals to take action, allowing readers to mull over their own responses: but there’s no such ambiguity in the message that follows from Wangari Maathai, who did indeed do what she could. As she says, she started by planting seven trees in Kenya. Thirty years later, she and others had planted 30 million trees – and her legacy continues to this day (more than 51 million trees planted to date…). 'Branching Across the World: Trees in Multicultural Children's Literature, 'I am a hummingbird' campaign, After Ghandi: One Hundred Years of Nonviolent Resistance, Anne Sibley O’Brien, Aurélia Fronty, Charlesbridge Publishing, children's books about trees, children's books about Wangari Maathai, Chinasa Ogbuagu, Claire A. Nivola, Dirt! 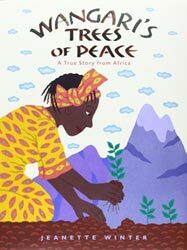 The Movie, Dominique Clément, Donna Jo Napoli, Farrar Straus Giroux, Frances Foster Books, Franck Prévot, Greystone Books, Harcourt Children's Books, Houghton Mifflin, Jeanette Winter, Jen Cullerton Johnson, Kadir Nelson, Lee & Low (US), Mama Miti: Wangari Maathai and the Trees of Kenya, Michael Nicoll Yahgulanaas, Noble Peace Prize, Perry Edmund O'Brien, Planting the Trees of Kenya, Rebecca Allen, Seeds of Change: Wangari’s Gift to the World, Simon & Schuster, Sonia Lynn Sadler, The Green Belt Movement, The Little Hummingbird, UN Messenger of Peace, Unbowed: A Memoir, Wangari Maathai, Wangari Maathai: Planting Trees for the Future, Wangari Maathai: The Woman who Planted Millions of Trees, Wangari's Trees of Peace: A True Story from Africa. Bookmark. Thanks for sharing the list. We loved reading Planting the trees in Kenya. thanks for sharing on KidLItblogHop this week. 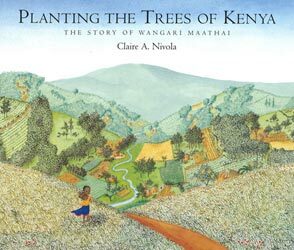 Planting the Trees of Kenya was the first picture book about Wangari that I encountered too, so it has a special place in my heart!